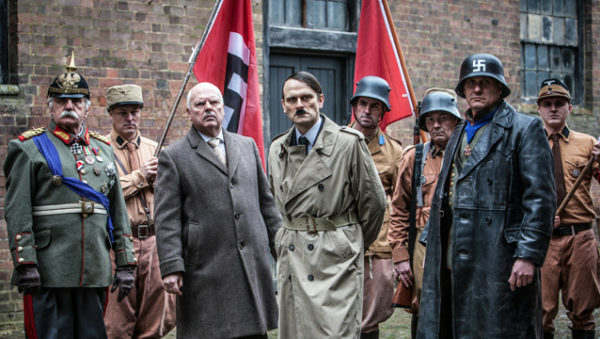 A 10-part series on the ambitious, power-hungry henchmen who worked closely with Adolf Hitler is now available on the Netflix streaming network. 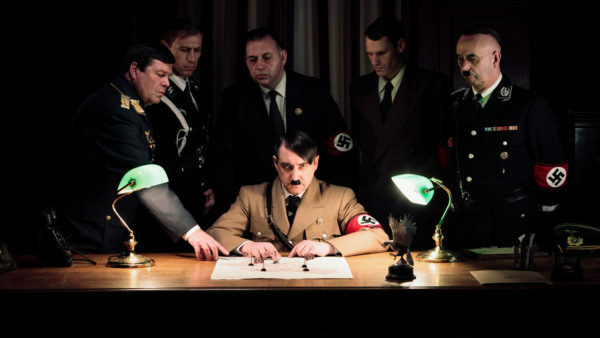 Hitler’s Circle of Evil, a skillful German production, is an amalgam of newsreels, wordless dramatizations and commentary by British and German historians. Judging by four of its episodes, this fascinating documentary is a foray into a world of political intrigue, street violence, shifting personal alliances and genocidal madness. It showcases the careers of ideologues and careerists such as Dietrich Eckart, Hitler’s mentor; Hermann Goring, the commander of the Luftwaffe; Joseph Goebbels, the propaganda minister; Heinrich Himmler, the SS chieftain; Reinhard Heydrich, his deputy; Rudolf Hess, one of Hitler’s oldest comrades and his deputy fuhrer; Martin Bormann, the head of Hitler’s chancellory and later his private secretary, and Albert Speer, the architect, his only real friend and minister of armaments. With Hitler adrift after Germany’s defeat World War I, he fell under the influence of Eckart, a journalist and playwright who regarded the Treaty of Versailles as a national humiliation and Bolsheviks and Jews as enemies of Germany. Eckart — one of the founders of the National Socialist Workers Party and the editor of its first newspaper — discovered Hitler in a Munich beer hall as he delivered a fiery speech. He quickly concluded that Hitler, given his brilliant oratorical skills, possessed the ability to spread his radical right-wing ideas to the masses. With Eckart’s backing, Hitler soon replaced Anton Drexler as leader of what would be the Nazi Party. In the meantime, Himmler and Goring joined the party. Benito Mussolini’s march on Rome encouraged the Nazis to stage the 1923 Beer Hall putsch in Munich. Ruthlessly crushed, and resulting in the deaths of 16 Nazis and Goring’s flight to Austria, it created a “bond of blood” between Hitler and his acolytes. By then, Eckart had been reduced to a marginal figure in Nazi circles. But Hitler, always appreciative of his contributions, dedicated the first volume of Mein Kampf, his turgid manifesto, to Eckart. It goes without saying that virtually every German who professed to be a Nazi was an antisemite. But Goebbels went further. He harbored a virulent, pathological aversion to Jews, although one of his academic advisors had been Jewish. Goring, we’re told, was a less passionate Jew hater, possibly because his godfather, whom he liked, was a Jew. Goebbels was in charge of the Nazis’ first organized campaign against Jews after Hitler was appointed chancellor in January 1933. Himmler preferred more subtle methods, but during the war he was one of the chief architects of the Holocaust. Goebbels, pushing for more stringent antisemitic measures, was instrumental in the passage of the 1935 Nuremberg laws, which stripped Jews of German citizenship and forbade mixed German-Jewish marriages. 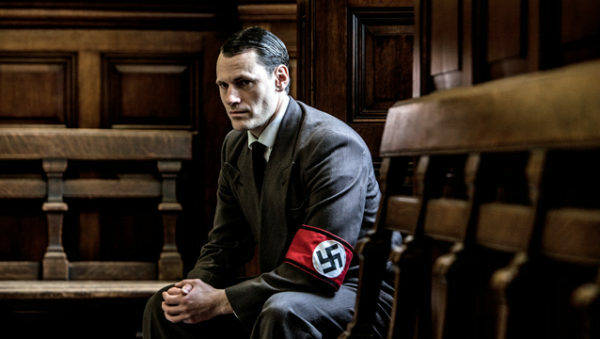 The incessant infighting inside Hitler’s inner circle is one of the themes of this series. Hitler’s deputies were intensely loyal to him, but they generally disliked each other. In the wake of Kristallnacht, the nation-wide pogrom in 1938 that effectively spelled finis to Germany’s Jewish community, Goring clashed with Goebbels, complaining that the widespread destruction of property was inimical to Germany’s economic interests. Hitler sided with Goebbels, who then demanded that Jews should pay for the cleanup. Bormann, Hess’ deputy, was a sycophant par excellence. He amassed power by supervising the renovation of the Berghof, Hitler’s chalet in Obersalzberg, a magnificent mansion in the Bavarian Alps facing Austria. To the Allies during World War II, it would be known as the Eagle’s Nest. As Bormann’s stock rose, Hess was marginalized. In the meantime, Hitler developed a special rapport with Speer, a much younger man who shared his interest in architecture and the visual arts. An invitation to spend a day or a weekend at the Berghof was much prized, but Germans who sought one had to ingratiate themselves with Bormann, who had become Hitler’s gatekeeper. Eva Braun, Hitler’s lively girlfriend, was a constant visitor. 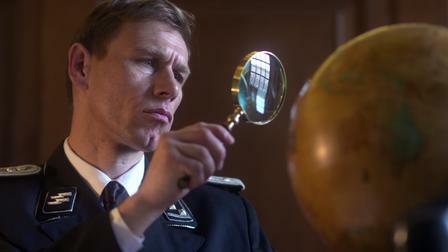 Heydrich, a prototypical Aryan in terms of his Nordic appearance, was Himmler’s cold, ruthless deputy. But before the dawning of the Nazi era in Germany, he was unemployed, and his enemies tried to discredit him by disseminating rumors that he was of partial Jewish descent. With Germany’s occupation of Poland in 1939, Himmler delegated Heydrich to Germanize it, while Goring instructed him to “get rid” of its large Jewish population. Following Germany’s invasion of the Soviet Union in June 1941, Heydrich played a central role in the Final Solution of the Jewish “problem.” The Einsatzgruppen, the mobile killing squads that murdered Jews on a gargantuan scale, were formed by Heydrich and his assistants. Reassigned to the Protectorate of Bohemia and Moravia in September 1941 to put down Czech resistance, Heydrich performed his task with murderous efficiency. He also chaired the 1942 Wannsee conference, which laid the groundwork for the industrial scale massacre of Jews during the Holocaust. On May 27, 1942, Czech assassins tried to assassinate Heydrich. Badly wounded by an exploding bomb thrown under his car, he seemed to be on the road to recovery before slipping into a coma and dying in his hospital bed some days later. In his honor, Himmler launched Operation Reinhard, the genocidal mass slaughter of Polish Jews. All these events are professionally portrayed in Hitler’s Circle of Evil, an aptly titled documentary.